Our IT consultants are seasoned professionals who serve clients ranging from some of the nation's top law firms to home users. We design, install and maintain computer systems, local area networks and integrated business systems. We specialize in web design, application development, network security, web hosting, system monitoring, virus removal, database design, wiring offices and homes for network connectivity, installing wireless networking, email and other general on-site and remote IT services. 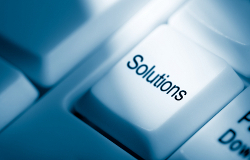 Please contact us for a free consultation about your IT needs.